Kids love to be entertained at all times, whether it’s glorious sunshine or a dismal downpour that won’t let up. The great outdoors generally provides its own entertainment with parks, beaches and shopping centres taking the ‘entertaining’ pressure off you, so it’s sensible to have a backup plan in mind for when the weather isn’t playing ball. This means that you need to get creative in your own home to make sure your little ones keep out of boredom-induced mischief. 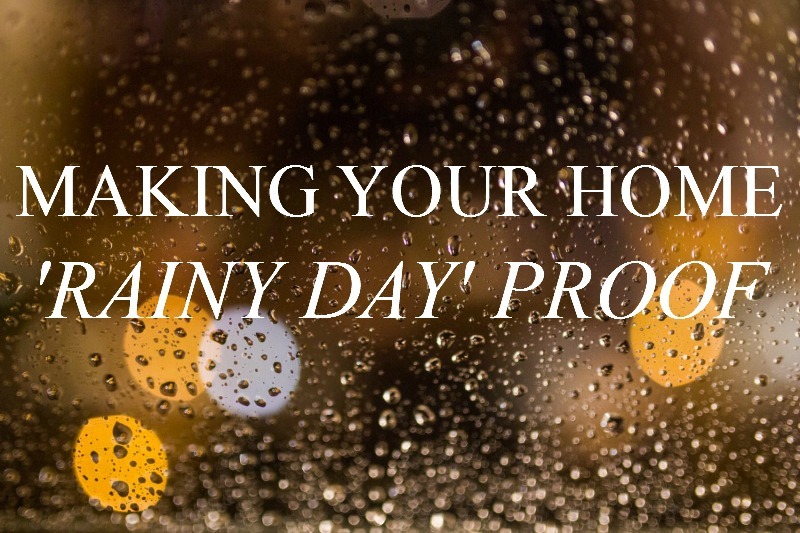 Here’s a list of methods to make the most of your space for those miserable, rainy days. It takes a small amount of effort and money to spark the imagination of children. Adults in this day and age grew up with very little in the way of technology, having to rely on overactive imaginations and being easily pleased – wouldn’t it be nice to take your children back to simpler times? Minus iPads, mobile phones and Peppa Pig? Whether they opt for a kitch tipi made from old bed sheets and anything to hand that can hold it up, or a tower of cardboard boxes to hide from the world, this will occupy their minds for a few hours leaving you get some stuff done or put your feet up! What’s not to love with baking? With enough ingredients in your cupboards, you could spend an entire afternoon attempting fairy cakes, cookies or even a fish pie! The eager anticipation of watching something rising in the oven will have the children excited and hungry for the tasty treats in store. Then it’s just the cleaning up - easily the worst part of the process - that will take some convincing on your part. If you need to keep your children indoors, making your space seem ever-changing can stave off the want for being outside, just that little bit longer. This could mean involving them in changing the living room layout, or in redecorating their rooms. It could also mean making use of spaces traditionally used for one thing to do another such as painting time on the kitchen table, a tea party in their bedrooms or wrestling matches on the sofas. You can also section off certain rooms at will with internal bi-fold doors. As well as adding value to your home (never a bad thing if you need to move on to a bigger house…for more kids maybe? ), they can help you to section off your living room from your study, so you can entertain the younger ones with a classic Disney film while getting your eldest to tackle their homework in peace. Then once the homework is complete, you can open the space back up, roll the rug back and have a dance party! With excitement levels high and a small space to work it off, you need to be creative with the games that can be played inside. Basketball won’t quite cut it and neither will football (imagine the trail of devastation…), but something like crab football could keep the competitive nature going without wrecking your favourite possessions. Or, if something tamer is needed, you could get the whole family together for a board game like Monopoly or Scrabble. Even something highly vintage like Tiddlywinks would keep them entertained for a while. An important lesson for every child is how to care for something, and what better way to do this than by giving them their own plant to nurture? On a rainy day you could teach your children how to pot up a seedling, show them how to water their plants and where best to place them for the best light. This could also be the perfect opportunity to flex those creative muscles with a bit of crafting. Old yoghurt pots make excellent plant pots that can be decorated by your children easily with a little bit of paint and even a splash of glitter! And if you’re feeling very arty, you could get them involved in turning an old pallet into a handy planter, ready to add to the garden once the rain has subsided. Check out Pinterest for some pallet inspiration and get those dust sheets out! Such a lovely list! I was doing similar activities when studied at the college campus. Back to those times I've found a legal site to write my paper so I had really enough time to play something with friends. Thank you for sharing this article!